On Saturday, Aug. 11, 2018, as part of an appearance he will be making at a new Gander Outdoors store in Kenosha, Wisconsin, Mossy Oak's Ronnie "Cuz" Strickland will be giving away a Texas whitetail hunt! 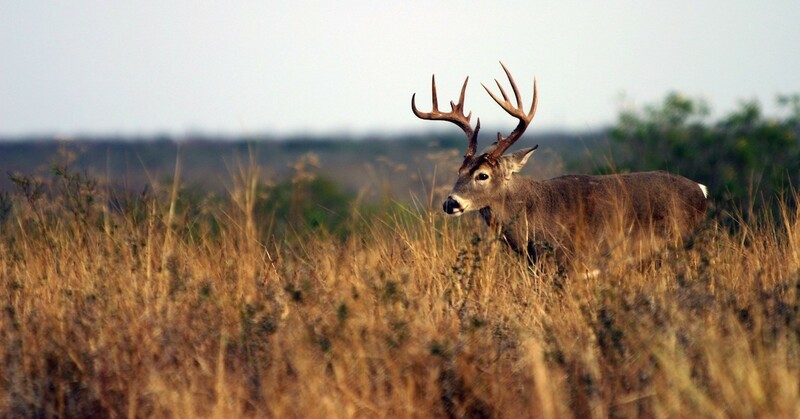 The grand prize winner will receive an all-expense paid deer hunt with M&M Brittany Hunting Guide Service in Santa Anna, Texas, where the winner will have tags for one buck and one doe. In addition to the hunt, he/she will also receive a PSE Fang crossbow, Mossy Oak camo, and they will have their hunt filmed to be featured on "Cuz 411." To register for the Texas whitetail hunt giveaway, visit the Gander Outdoors store in Kenosha, Wisconsin, on Aug. 11, 2018, any time after 9:00 a.m. local time and before the drawing at 4:00 p.m. Important note: You must be present to win, so plan for a packed Gander Outdoors. The store is located at 6802 118th Ave., Kenosha, WI 53142. "All of us at Mossy Oak are excited to be involved with the new Gander Outdoors group," said Strickland. "Hunting, fishing, camping and RVs all in one location; that's a great place to hang out, and I look forward to seeing all the people who come by to check out the new Mossy Oak-edition Starcraft RVs." Cuz will be on site all day in Kenosha showing store visitors the all-new Starcraft RV Mossy Oak Travel Trailers. The 2019 product offerings include the innovation, design and dependability for which Starcraft is known while featuring Mossy Oak's most popular pattern, Break-Up Country. The Mossy Oak travel trailers are offered in 18 different floor plans.